What on earth is the message here? Oh, forget it. Life is complicated enough without having to muddle through tangled phrasing like this! We find business writers can suffer from a common malaise – they know too much. Worse, they feel compelled to explain everything they know to readers who have limited technical knowledge and likely even less interest. So, how do we convey content – some of it detailed – briskly and effectively? To shed light on this, I’ve harvested three proven techniques from our industry-leading Writing Dynamics™ workshop. Consider your reader’s appetite and motivators. Manage the length of your sentences and words. Organize your document for the highest visual impact. It makes sense that different readers want different things. The challenge is to get out of our head and into the reader’s. Start by making a personality “sketch” and asking some simple questions. Who is your reader? Name them and bring their face to your mind’s eye. If you’re writing to more than one person, choose the reader you want to persuade no matter what. Are they detail-oriented or big-picture thinkers? Formal or informal? Do they make decisions quickly or need time to assess? Your goal is to match the length, tone and focus of your key points to a specific reader. What do they know about your subject? What are the benefits of your ideas ­– the ones most relevant to your reader? What result do you want – a response, a decision, buy-in for your project? These insights will help you decide what to say first (the hook to grab their attention), what will appeal to them (your strongest selling points), what to include and, just as importantly, what not to include. Let’s not prepare five pages if the reader will consume only two! Probably the biggest blunder of business writing is using too many words – and too many long words. We call this the “fog” factor. How foggy or clear is your writing? How quickly can readers discern your key messages? Limit sentences to 15-25 words. Vary the length for a change of pace. Layout can greatly influence the reading experience. Are you making the most of these visual principles? Develop value-based headings to lead your reader through the document. Limit paragraphs to four or five sentences. Let’s see how these techniques could untangle the passage we saw earlier. Need to write a major report or proposal? 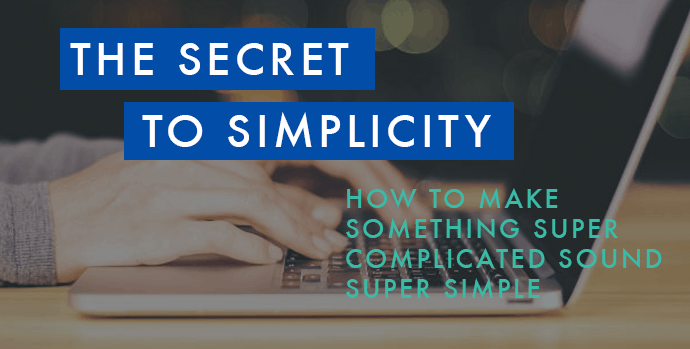 Looking to simplify your writing when it comes to proposals or reports? Writing Dynamics™ is the most comprehensive business writing workshop on the market. Join us Oct 25th and 26th in Toronto and learn how to effectively plan, draft and edit with impact. *This workshop is also available in-house. Contact us directly to learn more. Christie Day is a writer, editor, facilitator and executive coach with an extensive background in publishing, marketing and multimedia communications. Christie writes and edits for many kinds of consumer and business-to-business marketing while delivering workshops for McLuhan & Davies across the country. Christie is a Master Trainer for Writing Dynamics™, Grammar on the Rocks™ and Polishing Your E-Style™.